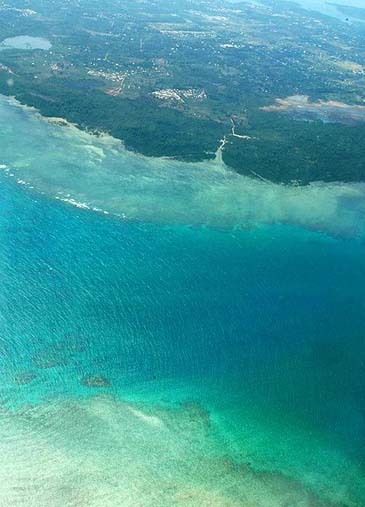 Aerial view of seas from Cebu to Puerto Princesa. While Koreans maintain the status of top mainstay tourists in the island of Cebu in the Visayan region of the Philippines, other alternative markets are now being explored as a potential source of added tourism receipts. The Department of Tourism in Central Visayas has been satisfied with the consistent showing of Koreans in the island and, thus, gives the tourism body an impetus to shift to higher gear towards tapping alternative markets to create a more diverse tourism setting. The new target is North America— both the United States and Canada. DOTCV is keen of the market consisting mainly of Americans with Filipino ethnicity who have never been nor back to their native hometown of Cebu. Returnees, otherwise known as "balikbayan" and their progenitors are lured to come and visit their roots. Promotional activities have been made, including a 4-day tour for the Second Ambassadors/Consuls-General Tour which was held recently consisting of ambassadors and consuls general to the United States and Canada as well as tourism attaches. They led over 100 participants, most of whom are Filipino-Americans. Going back to their native land, the delegates were able to make a courtesy call to Philippine President Gloria Macapagal-Arroyo before heading for the wreath-laying tour in Rizal Park to pay homage to the fallen national hero who inspired the first movement towards Philippine Independence from the 300-year of Spanish colonization. There were out-of-town trips from north to south which gave them a renewed glimpse of the natural vista of Philippine countryside. 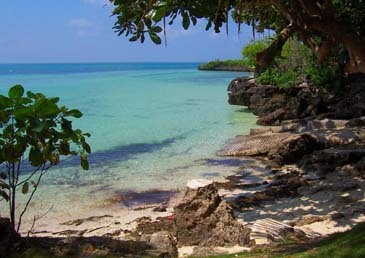 Package tours include the Cebu-Bohol, Laguna Lake Loop, Iloilo-Guimaras, Boracay, Davao, Palawan, Laoag-Vigan-Baguio, Cagayan de Oro-Camiguin, and Zamboanga. Patria Aurora Roa, regional director of the DOTCV, said the program is part of the efforts to increase tourist arrivals. Meanwhile, DOT Secretary Joseph Durano, is now considering the potential of Indian tourists to the Philippines. The tourism secretary cited statistics of about 7 million outbound travellers from India in 2005. He, thus, calculates this market should not be underestimated. Durano is reportedly planning to implement a scheme which includes the Department of Foreign Affairs as the office to issue visas while the Bureau of Immigration will extend the "visa-upon-entry" privilege. The privilege has been given to Chinese. However, travel critics warned that precautionary measures have to be observed due to reported increase of illegal aliens in the Philippines who have overstayed for illicit business activities.